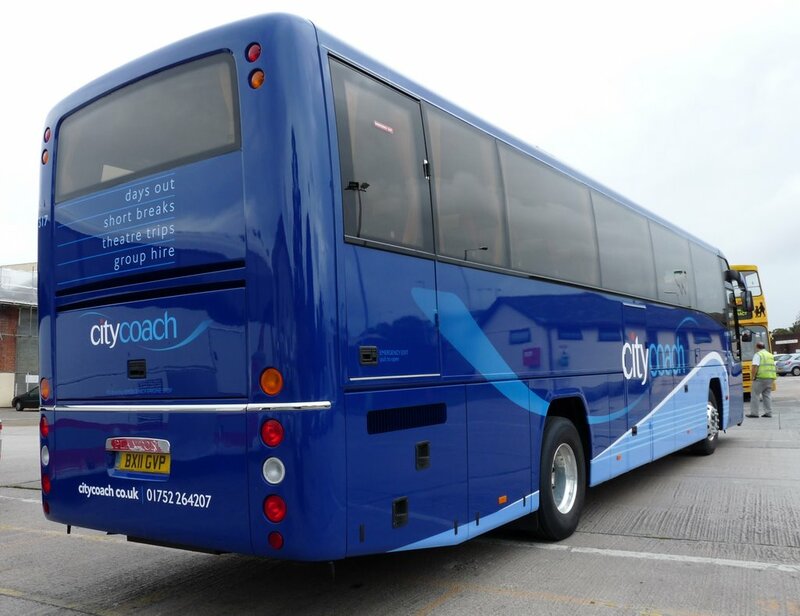 At last we can now bring you the full complete view of the new City Coach livery thanks to Brian George. ©Brian George. The more I see of it, the more I like it! Alos the 'bannister' for the front steps has changed colour. It was yellow! 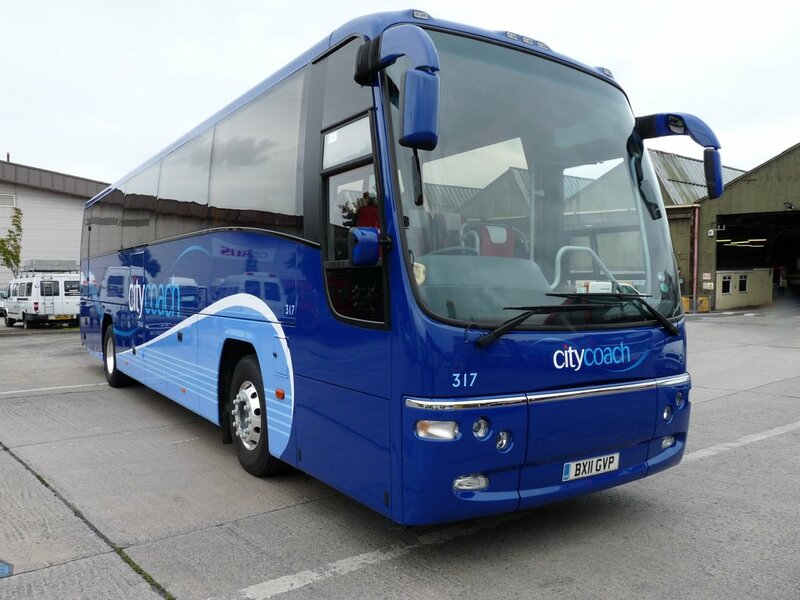 I reckon Plymouth Citybus may very well start to bid for National Express contracts soon, especially with a bolstered coaching unit. Nice livery very bold to go to blue!! The Handrails were Grey to Start With! I can confirm that the handrails always were grey. 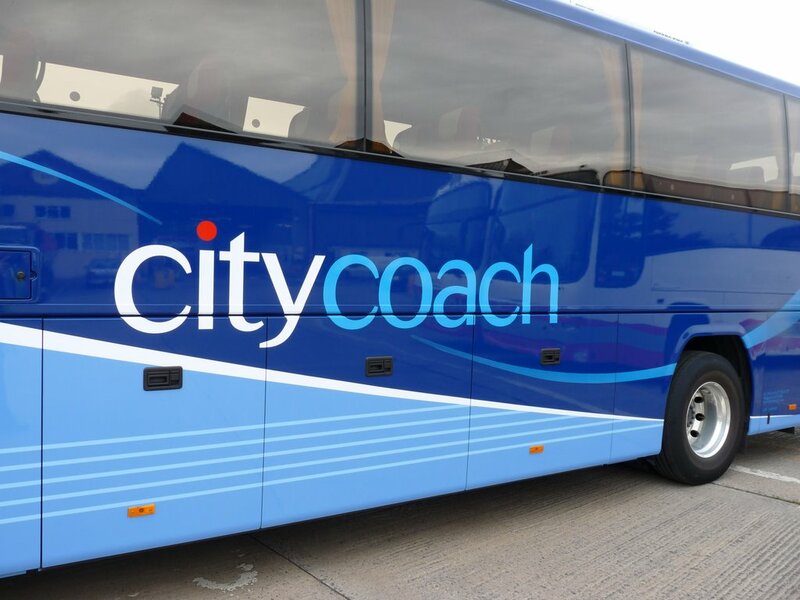 We have re-launched the citycoach brand with a new livery, logo and professionally produced brochures. 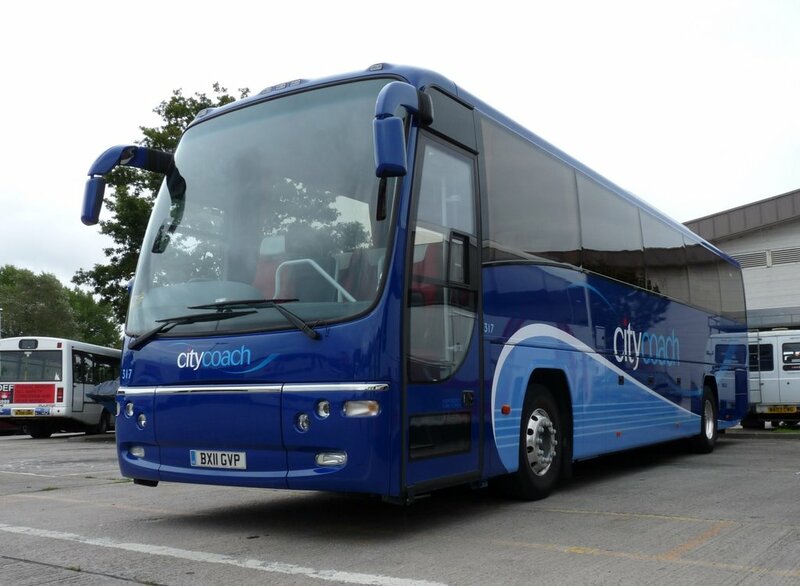 I think its the best citycoach livery ever! look back at some of the other liveries! with the exception of the original citycoach livery, this is the best yet. @Big G, it would be interesting if you could explain the thinking behind deliberately omitting the 'Plymouth', if it's not company sensitive! ?